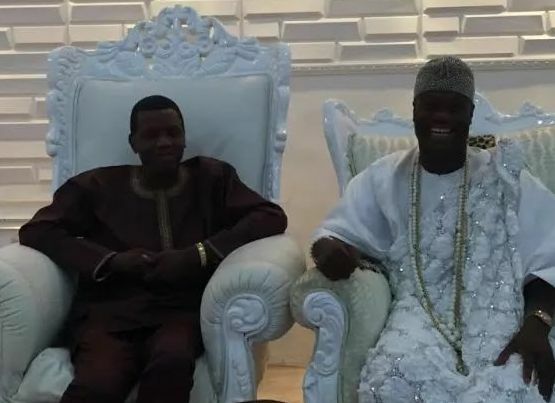 General overseer of Redeemed Christian Church of God, Pastor EA Adeboye while on a courtesy visit to the palace of the Ooni of Ife last week and was offered the seat by the Ooni himself. Despite the protest and refusal of Pastor Adeboye, Ooni insisted, pointing out that Pastor Adeboye was representing God in his palace, hence deserved the greatest seat! According to the Ooni, there is none greater than God.